Dr. Tarallo, Ed.D., MCHES, FASHA, Executive Director of the Center for Health and Learning (CHL), is a senior executive educational, non-profit and public health professional, who specializes in working with educational, health and community organizations, focusing on issues that affect educational attainment and public health concerns. She has expertise in the assessment, implementation and evaluation of curriculum, policy, and professional development. 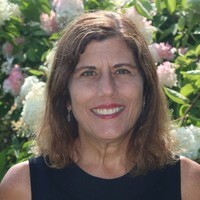 Dr. Tarallo has a Doctorate in Educational Administration, Planning and Social Policy from Harvard University from the Graduate School of Education, with affiliations at the Kennedy School of Government and Harvard School of Public Health. She is a state licensed and nationally credentialed Health Education Specialist. Her work has included a focus on school climate, chronic disease prevention, mental health promotion, alcohol, tobacco and other drug prevention and suicide prevention, bullying and harassment, HIV prevention and sexual health. She has designed and taught more than 20 graduate-level courses and has published curriculum, provides thought leadership with a focus on systems transformation and innovation, interdisciplinary and diverse partner engagement and has extensive grant writing and management experience.